I am so excited to share about this super fun crayon-inspired nail polish collection from Sally Hansen and Crayola! This is the meeting of two of my favorite brands from two different worlds: the world of beauty and the world of school supplies. Nothing beats the pigment and quality that you get with Crayola crayons. I am completely brand-loyal to Crayola in the crayon and marker category. They simply color the best and are so vivid! The same goes with Sally Hansen products at the drugstore: awesome quality, great wear, and fantastic color selection. 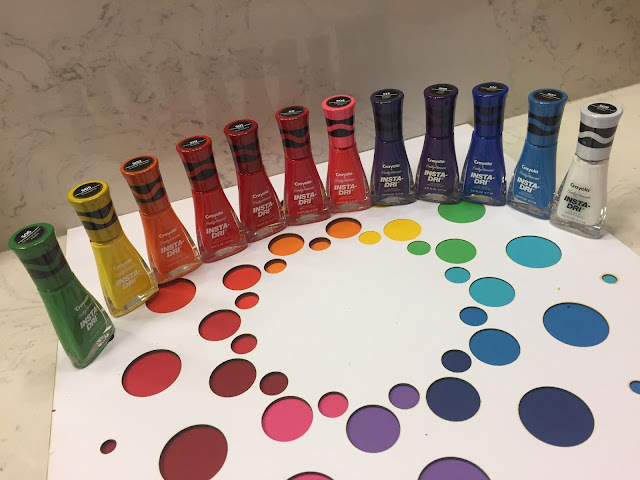 Well, these two color experts have teamed up to create a color-wheel crayon-inspired collection of Inta-Dry polishes! 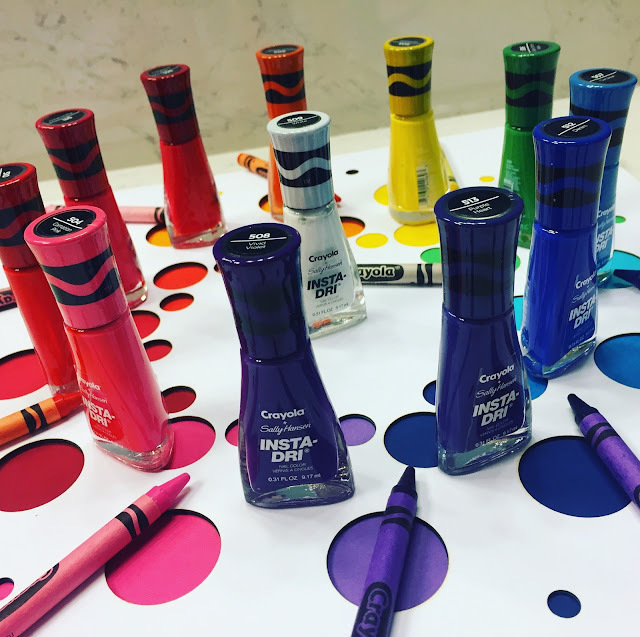 Be sure to scoop up this adorable Sally Hansen Crayola InstaDri collection while it is available. I just love it!!! These would be so fun to match with the train colors! Do you think they are exact matches? I always loved cerulean!